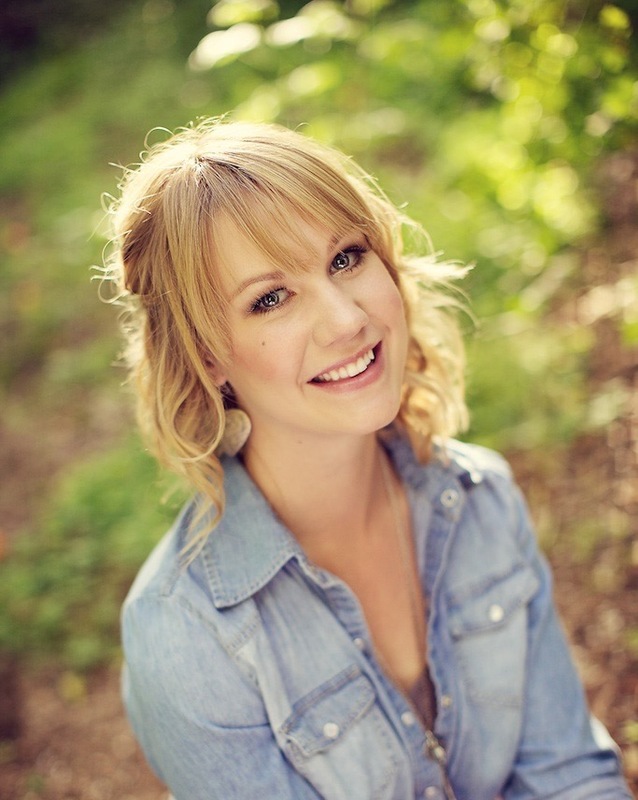 When I did my Barrett bralette by Madalynne giveaway, I asked you to comment with sewing topics you needed help with. Several of you responded that you wanted to know more about sewing with silk and other delicate fabrics, and I'm here today to deliver. 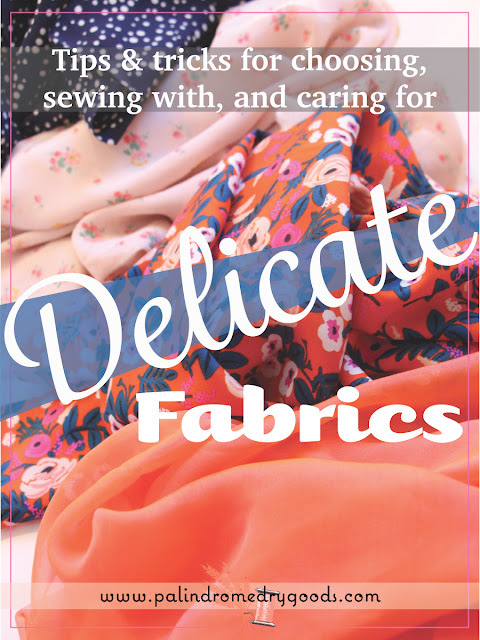 I'll be going over how to choose delicate fabrics, tips and tricks to sew with them and how to care for your garment once it's made. Before we get into sewing, let's talk about how to purchase silk fabric and how to decide on the best type of fabric for your project. First, make sure the silk you're buying is actually silk. I know it sounds crazy, but it's easy to be mistaken if you're new to fabric purchasing. If you find 'silk' chiffon for $2.99/yard it's probably not silk. Especially in the case of chiffon and satin remember this: chiffon and satin are two types of a weave. Those words don't have anything to do with the actual fiber content. 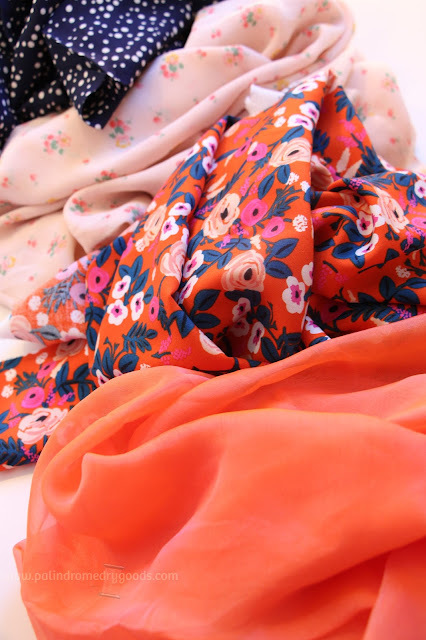 Chiffon and satin can be produced with synthetic or silk fibers. I can also tell you with a significant amount of certainty that the 'chiffon' and 'satin' you find at say, Walmart or JoAnn are going to be synthetic. Sourcing good, quality, silk fabric is not done at the most convenient, big-box fabric stores. If I were you, I would source silk from reputable apparel fabric stores (such as Mood and Britex), Etsy shops (such as this one that I have used previously) and smaller fabric stores (such as The Tin Thimble, of course!). "burns slowly and shrinks or curls away from the flame. Will not stay lit after flame is removed. Very little smoke is produced but it smells like... burnt feathers (silk). Ash is a gritty powder or a dark brittle, easily crushable bead." If the resulting piece of fabric continues to burn after you put the flame out, melts into a hard, plastic like, glob or smells like chemicals, that ain't silk my friend. Sorry to break it to you. Silk also has a very distinctive scent. If you can get your hands on 100% silk fibers (such as throwsters waste, bombyx, tussah or noil) OR 100% silk fabric (such as chiffon, noil, satin, charmeuse, or dupioni) smell it! There is no possible way I can describe the scent of silk because it is entirely unique to silk. One you're familiar with it, you won't forget it and you'll be able to do the smell test on other fabrics. This is a bit tricky because fashion design and apparel sewing is such a limit-less art form. People create beautiful things out of fabrics I would have never chosen all. the. time. Ultimately, it is up to us as artists and designers and seamstresses to make what we like and use fabrics we enjoy. That being said, there are some basic dos and don'ts we can follow. The thing about delicate fabrics with drape such as chiffon, crepe, charmeuse and challis is that they don't have a lot of structure to begin with. It is this, in my opinion, that makes them so beautiful. They drape, they fall, they pool. They don't stand up on their own (like, say, canvas), they don't provide structure (as muslin might for a foundation), they don't stick out away from the body (like corduroy or denim might). This makes them especially good choices for drapey blouses, slinky dresses and linings. Now let's think about delicate fabrics with less drape, and more body, such as organza, taffeta, and thick satin. 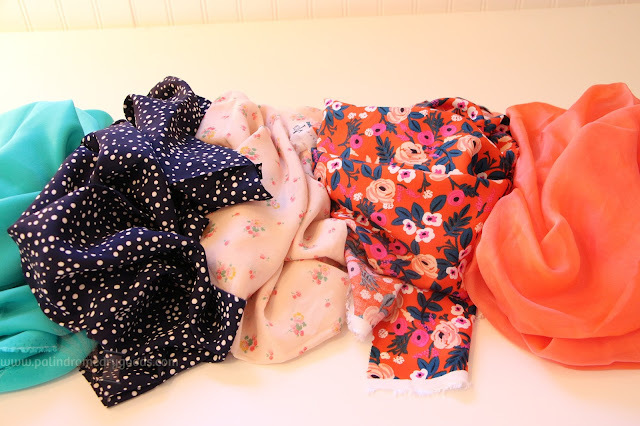 These fabrics may work beautifully for your typical 1950s-type prom dress with a big puffy skirt. Also, consider if this garment is going to need to be lined, or if you can wear an appropriate undergarment to avoid a lining (such as camisole or slip). Sheer fabrics are so, so, so lovely, but perhaps not always the most practical. If you're a modest girl and are going to need more coverage than a slip, making a dress out of sheer cotton lawn might not be the right choice for you. However, if you want to wear a cami underneath a sheer blouse, then any sheer fabric will be a fine choice. You may also want to look at construction aspects like facings, darts and seams. Facings could look strange (or cool!) with sheer fabrics so it's something you'll need to consider. Can you skip the facing and finish the edge another way? Do you want the facing out of another fabric so it becomes a highlight of the garment? Will it bother you that darts are visible through sheer fabric? Maybe you should opt for a more opaque delicate fabric such as crepe. These are all design aspects to consider. Feel free to search "silk", "voile", or "rayon" in the search box to the right to see more garments I have made out of such fabrics, and the design choices I have made. These may help steer you in the right direction. As with any project, you want to prep your fabric prior to sewing with it. The general rule is to prepare your fabric by washing it the way you plan on washing your garment. If you're making jeans and will wash them in cold and dry them on warm, then wash your denim in cold and dry it on warm. If you're making a silk blouse that you'll wash by hand and hang to dry, then wash your silk fabric by hand and hang it to dry. This is what I do and I've never had an issue. I would like to note, however, that I usually dry rayon fabric on hot, regardless of how I plan on drying my garment, because this fabric shrinks so darn much. When sewing with delicate fabrics you only get one chance to make a clean seam. If you screw up and have to take the seam out, there are going to be noticeable holes left from the seam that will be hard to hide. These holes will be far more noticeable than those in more durable fabrics. Due to this fact, and the fact that these fabrics tend to be more expensive, I usually make a muslin before constructing the garment out of my 'real' fabric. This ensures that I don't have to take out any seams, make any fit or design changes, or sew any unnecessary seams into my lovely fabric. When choosing fabric for a muslin, actual muslin may not be the right choice. Be sure to choose a fabric with similar drape and hand to your pretty fabric in order to be sure the practice and real garments will fit and drape the same way. Also, when you construct your real garment, make sure that your stay-stitching and basting stitches are within your seam allowance! Before you sew with your fashion fabric, let it hang for a day or so before you cut it. I don't do this for cottons, but this old tip works wonders for heavy, drapey fabrics. And this tip is from my mom, so let's just thank her for that real quick. Some seamstresses prefer to let the garment hang before they hem it, and that's fine too. After washing, drying and pressing my fabric, I usually fold it in half (selvedges together), slip it over the bar of a hanger and let it hang for a day...or until I get to it. After it's hung for a while, cut the (non selvedge!) ends straight across using a ruler and 'voila! ', you have nice, straight, fabric to proceed with. These types of lovey fabrics can be tricky to cut. Make sure your scissors have recently been sharpened and are free of burrs. If you have pattern weights, make sure they're clean and use them! 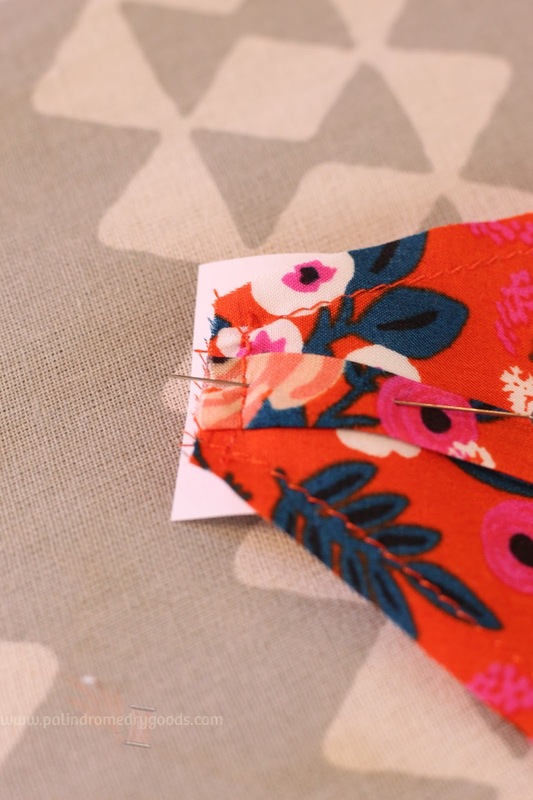 If you don't have pattern weights, simply use pins (see below for the right kind) and move slowly as you pin and cut. Taking your time and being careful will ensure your fabric doesn't slip around and result in crooked garments. I would also recommend not cutting out pieces on the fold. Lay the fabric out so it is a single layer and cut-and-mirror pieces if you can. Cutting on the fold, to me, seems to always end in irritation and wonky pieces. Though I've never used it, I know that some sewists also enlist the help of a spray-on adhesive. Because I don't have experience with this, I won't expand on it, but I do want you to know it's an option. When I sew with delicate fabrics I use a Microtex needle . Microtex needles are sharper than your average 'universal' needle and have a narrower shaft. Because of this extra sharp point and the slenderness, this needle creates a smaller hole when it pierces the fabric. If you have a walking foot, use it! I don't have one, and never have owned one, so I won't go into this too much but I do know they can be incredibly useful when working with slippery fabrics. 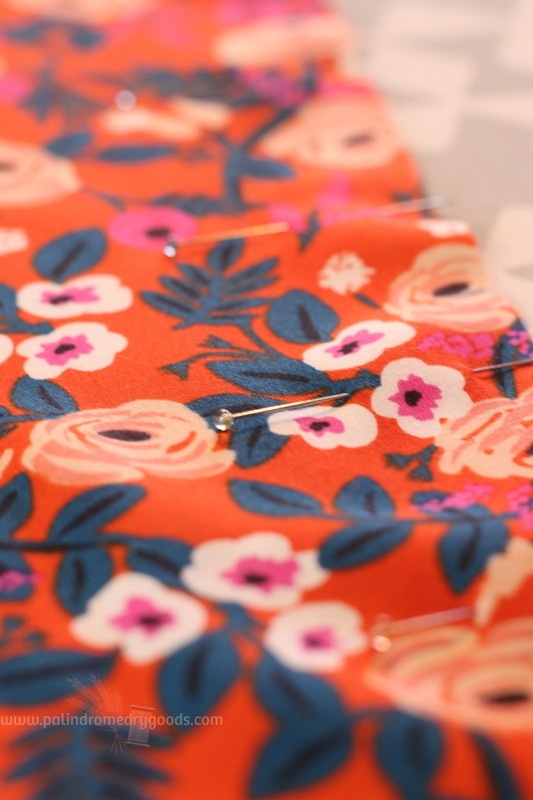 I prefer to use long glass head pins when sewing with delicate fabrics because, like the Microtex needles, they're extra fine and sharp so they pass through the fabric easily and cause as little damage to the fabric as possible. Put the tracing wheel and paper away, my friends. Tracing wheels will likely damage your delicate and slippery fabrics. With sheers, like chiffon and gauze, marks left by marking pens will disappear so I tend to use a needle (choose a very sharp, thin one) and thread to sew my notches and symbols onto these fabrics. With slightly thicker fabrics like challis, voile or satin, I use my trusty old water-soluble marking pen. Presser foot pressure. Try saying that three times fast. When sewing with silks, voiles and rayons, I adjust the amount of pressure applied to my presser foot to be less than normal. As the machine applies less pressure to the foot, the fabric is allowed to move through the machine more, as opposed to being pushed through it by the dogfeed. You want the amount of pressure on the fabric to be enough to ensure nice, even stitches, but not so much pressure that it mars or puckers the fabric. 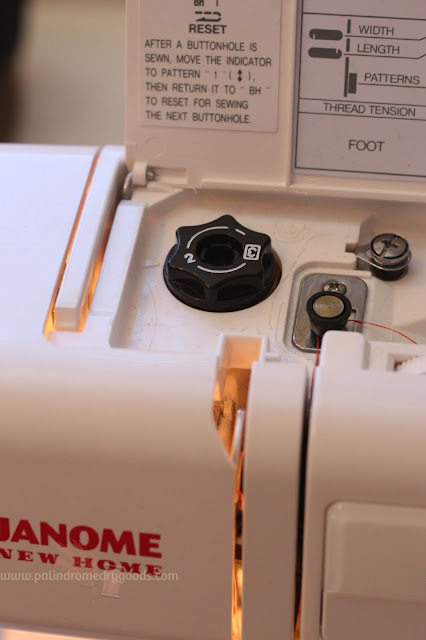 On my Janome HD 3000 the pressure dial is located on the top left of my machine. With most of my vintage sewing machines, this adjustor is located in the same place, though sometimes with a peg that is pushed down. On some machines, I have seen a dial located on the left side of the machine to make this adjustment. 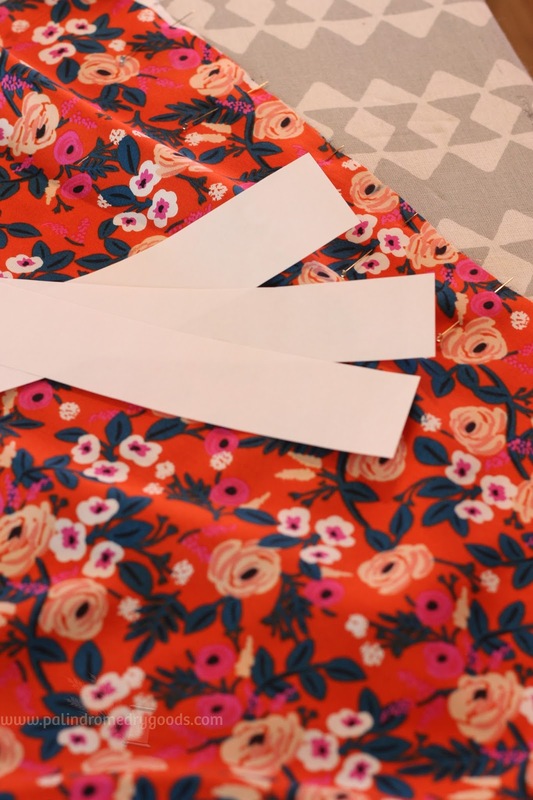 I find that with delicate fabrics made of rayon and cotton (such as faille, voile, lawn, and challis) that they can withstand a little more heat, but it is always better to use caution and use a pressing cloth if you're at all worried about damaging your fabric. "Whaaaaat? ", you say. Yep! With especially lightweight fabrics such as silk chiffon, it can be hard to keep your machine from sucking the fabric into the bobbin housing. If this is happening to you, don't panic. Cut some strips of clean paper (I use regular printer paper, but you can also use white tissue paper) and place these strips under your fabric. Sew your seam as you normally would. You may find that you only need a little bit of paper to get the seam started, and can continue sewing without it. Why does this work? 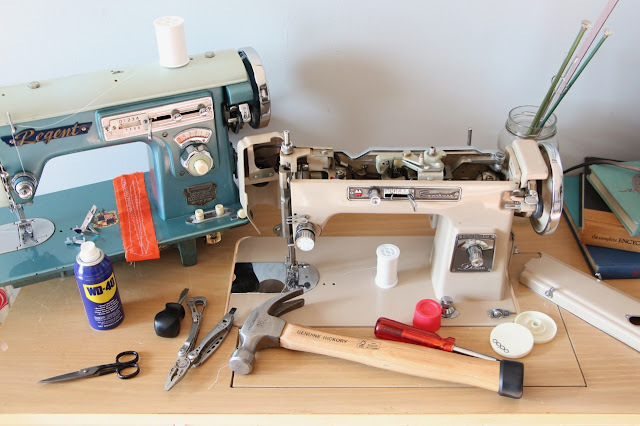 Well, as fabric is squeezed between the presser foot and the dogfeed, the sewing machine depends on a level of stability to grab that fabric. Think, for example, about how much easier it is to grip onto a wooden spoon (denim) than it is to grip onto whipped cream (silk chiffon). The paper acts as a stabilizer to help the sewing machine grip the fabric as it moves through. Sorry, guys, but if you're sewing with these beautiful fabrics, you can't leave your seams unfinished. In most cases, a zig-zagged or pinked seam isn't even going to cut it. You must finish the garments constructed with delicate fabrics (especially the sheer ones!) with french seams. Not only will these french seams look lovely on the inside of your garment, they'll also look nice from the outside of your garment. Because, remember, if your fabric is sheer, you'll be able to see straight through it. And, these french seams will prevent your garment from, literally, coming apart at the seams. If you want to know how to make a french seam, reference this post I wrote. I never go to the dry cleaners so I'll tell you how I take care of my delicate garments at home. If you choose to take them to the dry cleaners, then that's your decision, but you don't necessarily need to. I have sensitive skin, and because of that, I make my own laundry detergent (I use a recipe similar to this one). This detergent is fairly gentle and is, therefore, a good choice for washing your delicate fabrics. Additionally, I can say from experience that Oxiclean is a surprisingly gentle and effective detergent. If you have a front-loading washer, I have found that most 'delicate' cycles on these machines are truly gentle enough to wash your fragile garments. I would also run an extra rinse cycle in your front-loading machine to make sure all the detergent is washed out of the garment. You want to make sure your garments are thoroughly rinsed because detergent left in the fabric will likely leave weird stains and marks and could break down the fibers of your fabric prematurely. If you have a top-loading washing machine, I'd avoid using it and hand-wash your garments. I don't have a washing machine at all, so I hand wash mine. I clean my kitchen sink, fill it with luke-warm water and 1 tablespoon of my handmade detergent. I then swish my garments around in the water for a bit, paying extra attention to more soiled areas, such as the underarms. I then rinse with cold water, and rinse again. Depending on the garment, some I lay flat to dry and others I hang up. This post is already very long, and I probably could have kept going! 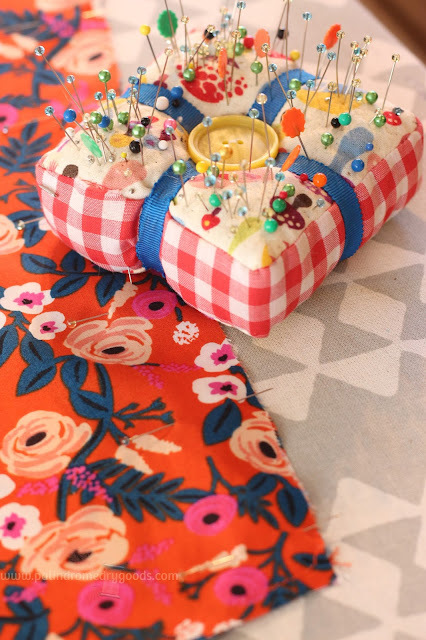 There are so many wonderful tips for sewing with fancy fabrics, and if you have anything you'd like to add, please comment below. Thanks so much for reading, everyone! If you found this post helpful (I hope you did!) 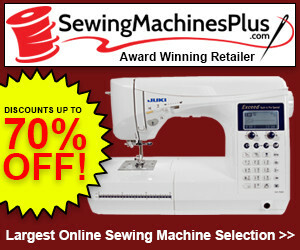 please pin it so that other seamstresses can discover it. As always, feel free to comment below with questions and I'll be happy to respond. Thank you so much for this through and useful post! So many valuable tips! I’m especially happy to find that I won’t have to dry-clean silk garments, as it was one of the main reasons I’ve avoided sewing with silk. I want to try making a silk slip dress first. Do you think I can get away not cutting it on bias, since silk is already so drapey ��? You are so welcome! I would certainly go ahead and try your slip cut with the grain, instead of the bias. It may change how the dress 'skims' the body (bias garments are notorious for sticking close to the body) but I don't think the results would be bad at all. Slip dresses don't typically have a lot of shape or detail to begin with, so it would be a great foundation project to conquer your fear of silks! Best of luck to you and be sure to share your results.